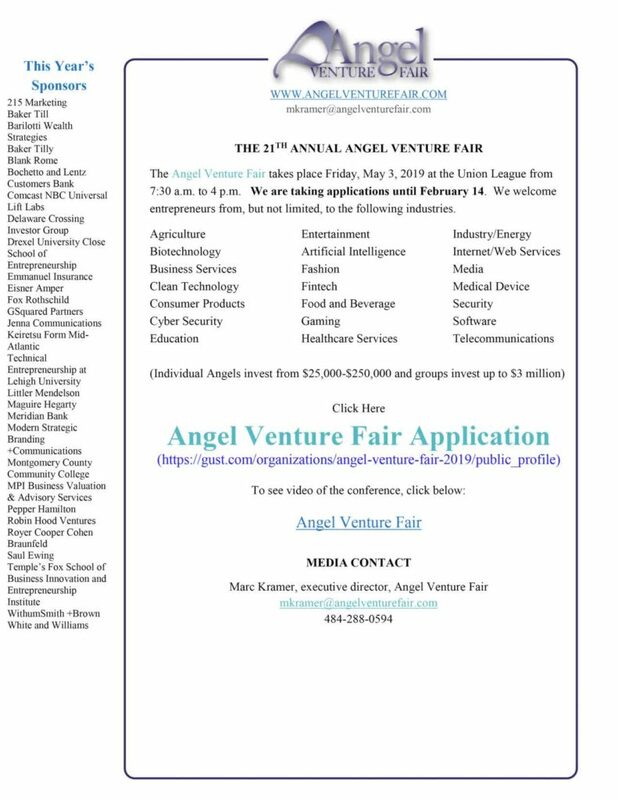 Startup Funding at Angel Venture Fair, Philadelphia 2019. We pitched last year and can attest, this is a great angle funding event attracting many top Angel and VC firms, especially those in the Greater Philadelphia area. Note the dates: You must apply to pitch by February 14th, 2019. If you miss the date you can still attend but won’t be able to pitch investors. If you would like more information or have questions about what types of businesses should pitch, feel free to contact us (clarity Fi – financial business consultants).